I spent the first morning of 2019 binge watching old episodes of an ’80s sitcom. It was a show that had it all: A theme song sung by Alan Thicke, a precocious child star ... and a laugh track. Why did I start my year out with this trip down memory lane? I blame Marcellus Wiley. These days, Wiley is a host for Speak for Yourself on Fox Sports. But back in the ’80s, he was just a kid growing up in Compton and South Central L.A.
"Before it became a song or an album — or before it became a movie — it was just life or death," Wiley says. "I had uncles who used to be gang members, and I saw how they were respected and feared in the streets. But then I saw them come in the house. And I saw the tears. And I saw the weakness. They didn’t know how this was going to end. And, unfortunately, two were murdered, and one committed suicide." Wiley didn’t want that life. But to avoid it, he had to know what not to wear, what not to say, what streets to avoid. "I just hated that," he says. "To know those things was going to help me survive, but it wasn't going to help me thrive in life. 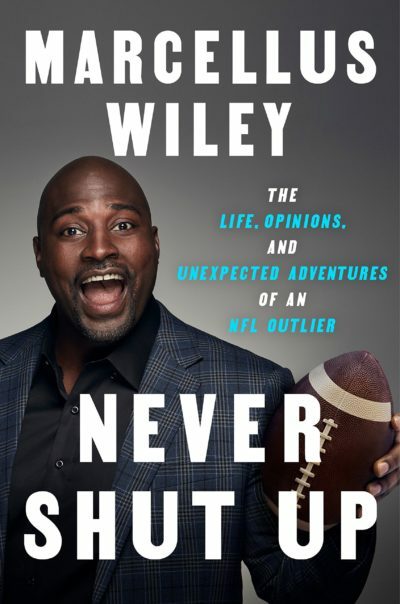 I wasn't going to leave the neighborhood and set up my family and get generational wealth by knowing, ‘What does a Raider hat really mean in the 'hood?’ "
The idea that there was a different life outside the 'hood — that there was such a thing as generational wealth — Wiley learned about that by watching TV. "My favorite was Diff’rent Strokes," he says. "That told me a lot. It told me that there is a better place — there is a different place." For eight seasons starting in 1978, Diff’rent Strokes followed the lives of two orphaned boys from Harlem who were adopted by their mother’s former employer. "But I didn’t see the path that connected to me," Wiley says. "Like, I didn’t see how affluence was going to be attained by me." There was one feature of the family’s penthouse in Manhattan that really stuck out for Wiley: the circular staircase in the kitchen. "I always told myself, ‘When I make it, if I make it, I'm gonna get me a circular stairwell.’ It was just the thing that I wanted." Wiley knew there was no rich white man coming to adopt him. He’d have to find a way to take himself — and his family — out of the 'hood. Luckily, when he was 8, Wiley found football. And, just like schoolwork, it was something that came naturally. "You give me the ball, I was just gonna run circles around every other 8-, 9-, 10-, 11-, 12-, 13-, 14-year-old — scoring four, five touchdowns a game," he remembers. "It was simple." Wiley knew that a career in the NFL could get him to where he wanted to go. But first, he had to get to college. Wiley started at Westchester High, a public school with a great football program. He hoped that would be enough to attract the attention of college scouts. But by the end of his sophomore year, he had doubts. "Lot of people were underachieving based on how good they were," Wiley says. "All-state, All-American players, but going to community colleges — and I just was, like, ‘That can't be me.’ I was too responsible for my family in terms of getting us out of the neighborhood. So I just couldn't underachieve." So Wiley transferred to a private school: Saint Monica’s in Santa Monica. To get there every day, he’d catch a ride with his mother, who worked at the post office. She’d drop him off at the front gate by 5:47 every morning so that she could get to work by 6:00. Wiley would set himself up near the stairs by the gym. He’d sprawl out on an old sleeping bag to finish his homework. "Your thoughts wander to good places when you're on campus but you're not with your peers," Wiley says. "You're not with your classmates. You're not with your teammates. You're just, kinda, thinking, ‘What's next in life?’ "
But Wiley's plan hit some snags. First, there were his knees. He was in constant pain. Then, the coach that had recruited Wiley to come to St. Monica’s left for another school and took most of the team with him. Marcellus thought about leaving, too. But his mother wouldn’t hear of it. 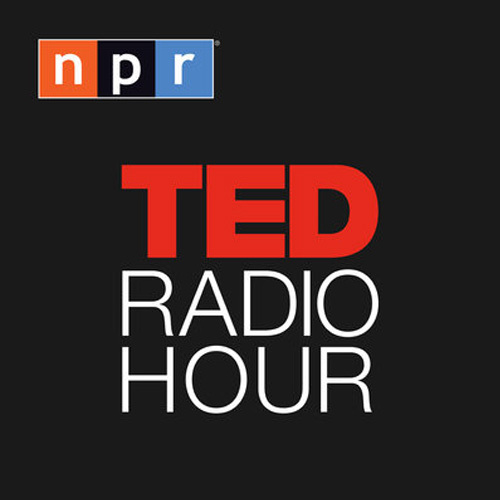 "She was like, ‘You are not going to three high schools in four years. You're not that kid.’ And she was right." So Marcellus stayed at Saint Monica’s for his senior year. "And it was pretty disturbing," Wiley says. "Because we were sorry as hell. We were the worst team. We were 0–10 on the field. Not the best way to get recruited. But it all worked out." It worked out, in part, because of all those long mornings Wiley spent sprawled out on that sleeping bag by the stairs to the gym. He went from being a good student to being a very good student — one good enough to get recruited by a university not too far from that Manhattan penthouse on TV. "The first time I heard of it, I actually saw it — it was on my coach's shorts," Wiley remembers. "I just noticed the colors at first. I was like, ‘Coach, what's Columbia?’ And he's like, ‘Oh, that's where I went to college.’ I was like, ‘Yeah?’ He was like, ‘Yeah, it's an Ivy League school back East.’ "
At the time, “Ivy League” only meant one thing to Marcellus Wiley. Those were the schools on the sweaters worn by Bill Cosby on the Cosby Show. "So I was like, ‘Oh, so it's like Harvard, Yale, Princeton?’ He was like, ‘Yeah. Trust me — it's the worst football program in the country. Don't even think about going there. But it's an amazing school.’ "
Only a year earlier, Columbia University had finally broken “The Streak,” the longest losing streak in NCAA Division I history: 44 losses in a row. Wiley was being recruited by UCLA and UC Berkeley. But he found himself drawn to Columbia. If his NFL dreams didn’t work out, he knew a degree from an Ivy would open a lot of doors. So, in the summer of 1992, Marcellus Wiley went to Columbia. But the Marcellus who left L.A. wasn’t the same as the one who arrived in New York. "So in the 'hood, I was the nerd," Wiley says. "I was the MVP. I was the nice dude. I get to Columbia — I'm the big, bad, black dude from Compton that just plays football. And I was like, ‘Whoa. That was a switch. I'm no different. But the backdrop changed.’ "
Just as Wiley had been introduced to life in a Manhattan penthouse through TV, his classmates — some of whom arrived on campus via helicopter — had been introduced to life in Compton and South Central through the music of NWA and the movie Boyz n the Hood. They were fascinated by Wiley. They loved hearing his story of dodging bullets during a football game. But they didn't love the music he played at all hours of the night. "I was like, ‘Whoa. That was a switch. I'm no different. But the backdrop changed.’ "
"I had 107 noise complaints," Wiley says. Only one person had ever come to his door to ask him to turn down his music. Wiley figured the others must have been too scared to knock. "So I started to realize that, ‘You know what, I need to find a way to, kinda, break down these walls between my dorm mates, my classmates and myself and get through these stereotypes and past them,’ " Wiley remembers. And to do that, Wiley fell back on something he had learned in eighth grade ... in typing class. "We were using old fashioned, ‘ch, ch, ch, ch, ch’ typewriters," he says. At first, Wiley was just keeping up with other kids in the class. 15 words a minute. Then 20. Then 25. Then one day when he was in the car with his mom, he started visualizing the keyboard in his mind and typing out the names of the streets as they drove past. "I would type out ‘Slauson,’ " Wiley remembers. "I would type out ‘Edgemar’. I would type out ‘Crenshaw’. ‘LeBrea’. And then, I started to just type out everything I saw. 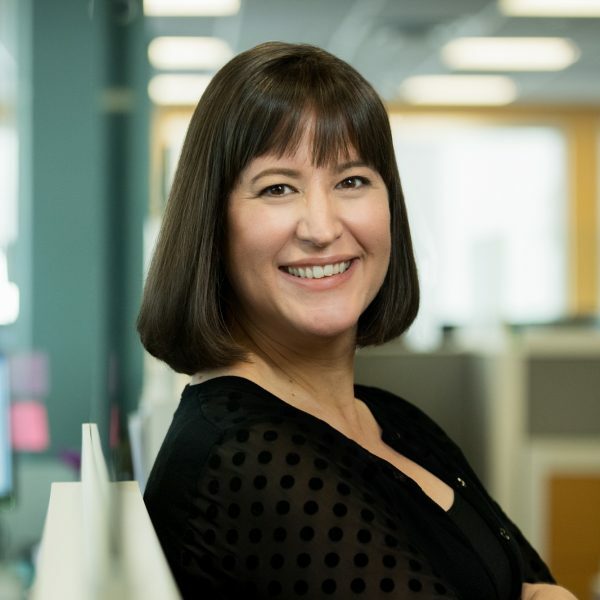 Two weeks later in class, everyone's around 35 words per minute — and I was at 45–50. Then you look up again in another few weeks — and I'm at 60–70. Next thing you know, I was entered into some contest, I didn’t know what it was. Turns out it was the National Typewriting Championship." The competition was held somewhere in the valley — an hour or so north of L.A.
"Wasn't too nervous," Wiley says. "Wasn't really geared up for it. I didn't know how to get pumped up for a typing championship. Like, I had been in a football championship before, at that age, and a track championship. But a typing championship? I was like, ‘Whatever.’ "
Everyone was given the same document to type. It was a letter. "So they said, ‘Set, go.’ ... Bababababababababa ... And all you hear is yayayayayayaya, zink, yayayayayaya, zink." After one minute, the pages were collected. Wiley waited while judges counted the number of words typed and deducted points for every error. "National Typewriting Champion ... Marcellus Wiley.’ I was like, ‘What? And I typed 82 words a minute in the eighth grade with only one error. It was amazing." "They hear me on the keyboard one day, like, ‘clack clack clack clack clack,’ " Wiley says. "They're like, ‘Whoa, Marcellus, you can type?’ I was like, ‘Yeah, I can type.’ "
Wiley offered to type up a paper his dorm mate had handwritten. "Brrbrrbrrbrrbrrbrrbrrbrrbrrbrr. He's like, ‘Dude, that's love, man, thank you.’ And gave me, like, five bucks." Soon, Wiley was typing up notes and term papers for other students in the dorm. Five bucks a pop. "Nothing to them, nothing to me," Wiley says. "Next thing you know, people were knocking on my door casually — not just for a paper to be typed up with five dollars in hand, but just, ‘Whatcha listening to, Marcellus?’ ‘Whatcha up to, Marcellus?’ ‘How's last week's game?’ It really broke down a lot of barriers just using that skill." Wiley figured his odds of going pro out of the Ivy League were about the same as winning the Powerball. But during his junior season, he struggled to adjust to a new position on the field. And he wasn’t on track to graduate on time. So he went back to L.A. for a year. He took classes at a community college and hit the gym. "Graduate and make the NFL," Wiley says. The first big test, at least as far as football was concerned, came during Columbia’s preseason scrimmage with Dartmouth. 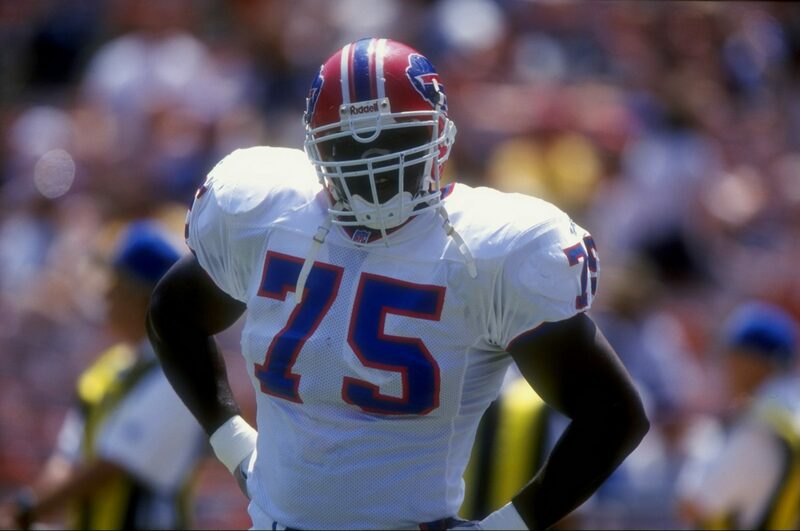 "They had an offensive tackle by the name of Brian Larsen," Wiley remembers. "And he was a first- to third-round projected draft pick. And everyone knew it." Before the scrimmage, the two teams lined up for drills — which meant Wiley would go one-on-one against Larsen. "And I was, like, ‘Oh god,’ " Wiley remembers. "And I remember — that first play, I went at it. And I ran right around him like he didn't even move. And I was like, ‘Whoa.’ And everybody was like, ‘Oh my God. What? What?’ "
Later, as he was walking off the field, Wiley was approached by an older black man in an Arizona Cardinals hat. "And he said, ‘Marcellus.’ I said, ‘Yes?’ And he's like, ‘Just want to introduce myself to you. My name is Bird. Yeah, I'm a scout for the Arizona Cardinals.’ My heart just dropped. "And I was like, ‘Okay.’ Shook his hand. Never heard from him again in my life. Haven't seen him anywhere in my life since that moment. But he did have a big mouth. Because the next week at practice: scout. Next week at the game: scouts, GMs, head coaches. Bill Parcells at my games. From the top down, everyone was checking out the guy at the little football program called Columbia." Marcellus Wiley’s senior year has been described as “one of the finest seasons ever by a Columbia football player.” The team that had so recently lost 44 in a row posted an 8–2 record. 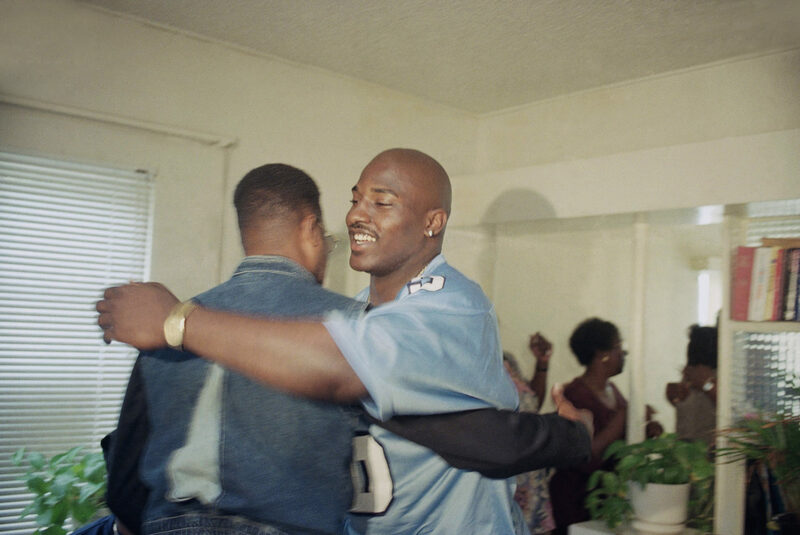 On April 19, 1997, when he was selected in the NFL Draft by the Buffalo Bills, Marcellus Wiley was in his family's one-and-a-half bedroom home in South Central L.A., surrounded by his parents, sister, friends and a television crew from CNN. "It meant so many things," Wiley says. "But I think, in short, it meant, ‘Wow, we actually achieved one of our dreams.’ And it was very few things that we could point at in our world and our life that was actually a dream realized. "My mother didn't wake up and say she wanted to be a postal employee. It just gave our entire family esteem. Like, ‘We actually did it. We actually materialized something we wanted.’ "
Life changed — not just for Wiley and his sister and his parents, but also for his children and the children that they’ll someday have. It’s that generational wealth that Wiley learned about while watching Diff’rent Strokes back in the ’80s. "They don't have to make it in the NFL," Wiley says. "They can just be whatever they desire, and life will be good." "I made sure I got me a townhouse at the time that had a circular staircase," he smiles. Marcellus Wiley went on to play 10 seasons in the NFL and work for 11 years as a broadcaster for ESPN before moving to Fox Sports last fall. 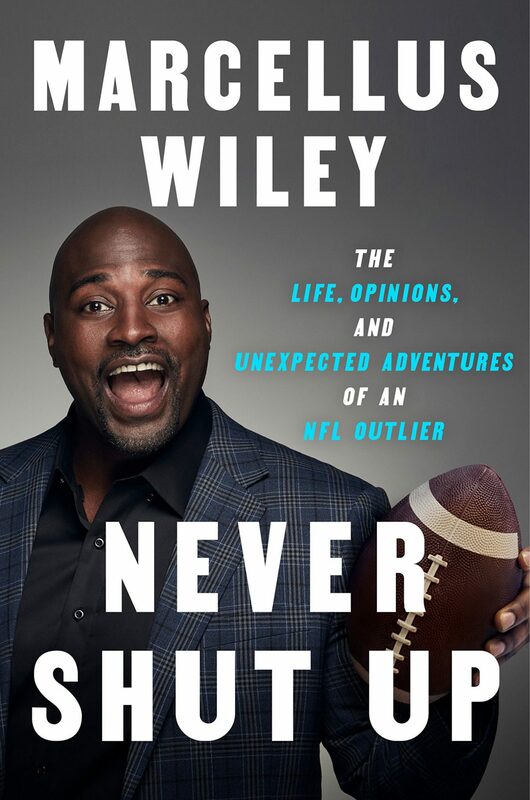 His new book is called Never Shut Up: The Life, Opinions and Unexpected Adventures of an NFL Outlier. This segment aired on January 5, 2019.